The referendum proposing the exit of the Britain from the European Union was met with mixed reactions all around the world. Besides roiling global markets and currencies, Brexit saw the British pound fall to its lowest levels in decades. In addition, many countries around the world will have to change how they trade with the UK ans the EU. Nonetheless, Brexit is believed by most to be a first step towards saving the indigenous culture in Britain and putting a cap on illegal immigration. The debate on whether to in or out of the European Union was openly and secretly discussed even before voting was done on June 23, 2016. 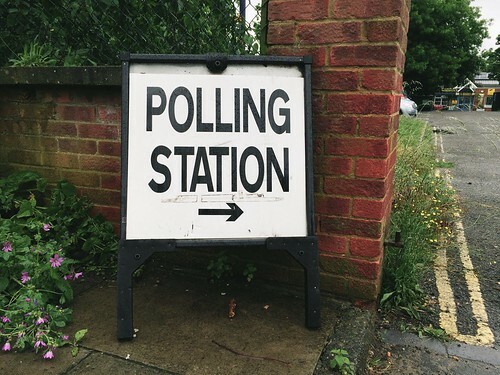 Voting out affected a lot of businesses; here is how it will impact tech startups. Entrepreneurs from major online companies such as Ebookers, Zoopla, Yo! Sushi, Skype, and Domino’s Pizza, just to mention a few, were among the signatories that voted for Britain to stay in the European Union. Over 200 entrepreneurs put pen to paper with their major concern being their inability to do business with the 500 million consumers. In addition, the set of regulations governs 28 countries so an exit would mean more permits and different rules. A Brexit will impact tech startups heavily because the set of rules will no longer apply to people in Britain. Even more, the connections made and companies started will have to be reviewed again when and if Britain manages to pull out of the European Union. The connection between the many countries in the European Union merged with daily advancing technology makes marketing very easy. In turn, this makes selling/buying or marketing your brand, product or service easy as you are assured of a wide target audience to choose from. An exit would mean a limited market for startup companies in Britain, missed investment opportunities, and lost jobs for both parties. In addition, the cohesion makes it easy for startup companies to get reviews from a wider market. Virgin founder and business mogul, Richard Branson can’t help but lay out his frustration at the thought of Britain leaving the European Union. The billionaire has been very vocal about the uncertainty, both logistically and economically, surrounding Brexit and how it transfers to tech startups. Having started his business before the United Kingdom joined the European Union, Richard has seen it all and advocates for a stay. He argues that initially, there were heavy import and export duties which made it very hard for his company to grow. Rightfully so, tech startups will be much slower since technology advances daily and all the equipment required will not be found in the UK alone. This has gripped the industry with uncertainty as most people are not sure whether to start now or wait until everything is settled. Nevertheless, there were tech businesses that were started around or shortly before Brexit was made public such as Gottotrain. The founder and London-based tech entrepreneur, George Budulan expressed his disappointment but claims he will continue to redevelop the App to suit a stay or an exit for the EU. The uncertainty weighs heavy in the heads of those thinking of startup tech right now as they are not sure how they will balance the businessman’s, governments and their plans on one table. After the referendum held in June 2016, Britain found out that 52% of the votes cast were favoring an exit from the European Union. 48% chose to remain, with most of these being from Northern Ireland and Scotland. England and Wales spearheaded the campaign to leave garnering the highest voter turnout out of the 71.8% of the over 30 million people that voted that day. A survey company, TechCrunch, involved members representing various business organizations, investor, and tech startups in a survey on whether or not Brexit was good. Just like many startups out there, the views were much divided. The fall of the Pound means that startups can afford to be sold at an affordable rate as it is easier to raise money abroad. On the other hand, a cheaper British Pound means the Brits will have less buying power and it would be very hard to pay external services such as Amazon S3 to host your product or service. Business requires proper evaluation and a clear strategy, for this to happen one must have all the facts needed to make important decisions. Since Brexit was only a referendum, many startups are indifferent about the outcome either way it goes. Nonetheless, the division among startup companies caused by Brexit will only settle when the final word come out. It’s that time again. The Google Penguin 4 update that went live this September has probably shaken up webmasters, SEO agencies and businesses that rely on these professionals to keep them on Google’s front page. 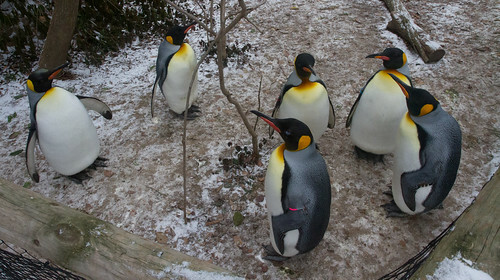 So, what should you know about the Penguin 4 algorithm update? 1. The update went live before it was announced. As we have seen with earlier Google algorithm updates, Penguin 4 went live a few weeks before it was announced. The announcement came on September 23rd, but the launch had already taken place on September 2nd. This makes it easy for Google to withdraw algorithms in the case of things going wrong, without having to make announcements. 2. The Penguin 4 update is a major change to the core algorithm. 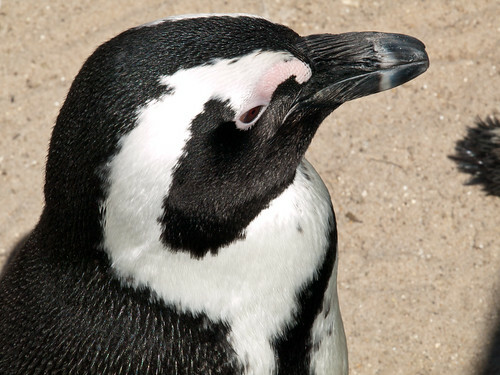 The Penguin 3 update took place in October 2014, and threw the SEO community into chaos. Google admitted that it was a less-than-ideal penalizing solution for black hat SEO. Penguin has always looked for unethical manipulation of keywords, and penalties were often applied only to specific terms and then made it almost impossible for SEO professionals to help penalized websites recover lost ranking. Once a website was penalized with Penguin 3, it was very difficult to improve or recover projects that were in Google’s black books. The reason why Penguin 4 took such a long time to launch (over 2 years) is because it involves large scale changes to the existing core algorithm. A lot of the code has been rewritten. There have been attempts to make Penguin more granular, which means that various parts of a website that has seen aggressive SEO will be caught by the algorithm while other parts may not be penalized. At the same time, Penguin 4 will be more rigorous in its search for link manipulation, without the limitations or the necessity for hacking the core algorithm as was the case in the past. 3. What does “granular” mean? In the context of Penguin 4, the efforts to make it more “granular” can be demonstrated through the new spam-blocking method. In the past, Google would rely on spam reports or manual reviews for detecting paid links or link networks. It would also use manual IP blocks and hand-compiled data to hunt for spam. This was a time-consuming and inefficient process, though the Hummingbird update did make some improvements. But with Penguin 4, and the observation that Google has not been carrying out manual spam detection since November 2015, it seems that things have changed. Penguin 4 is now likely using analytical tools that search for link graphs and unnatural link patterns. Google has realized that in cases of a single-owner group of domains where one domain has been caught for black hat link-building, looking at the entire group of domains under the ownership will reveal a lot more spam activity. This would enable Google to target specific manipulated keywords across multiple domains. 4. Google has not refreshed Link Graph since 2015. Google used to refresh Link Graphs at least one to four times in a year, before it stopped the refreshes in November 2015. Link graph refreshes meant crawling again over pages with links, after they have already been analysed. Any changes to the links or pages since the last refresh would show up only after the next refresh, and could affect SERPs significantly. It is not clear why Google has not done this for nearly a year. There are only speculations that one can make in this regard. Google may have omitted these steps before Penguin 4 because the team was too busy with the update. Or it may be that the refreshes have already been factored into the new Penguin upgrade. Google began rolling in changes in June 2016, and since then those who have been closely watching Google’s activities will have noticed that Google has been launching the new updates in waves, unlike a single Panda or Penguin update. Since Google’s new outburst of activity in this field, some results have vanished from link graphs. This is a sign that Google is going to crawl through and reanalyse pages as they go without affecting others. In other words, instead of major refreshes, we will very likely see a rolling effect and granular refactoring of link data according to Penguin and Panda rules. 6. Expect effects to roll in slowly. If you have not yet seen the effects of Penguin 4, hold your breath. Since there has been no link graph refreshes since the new Penguin implementation, it is likely that at the moment, only link edits made before 205 December will be factored in. If you have made changes to your website since then, you will need to wait for Google to refactor pages again before you see any change in your rankings. Do you want to start a business but you do not have start up capital? With today’s technology, it is possible to create a business with virtually no advance capital with tools that you already have. The advent of the internet has greatly revolutionized the way we do business. The internet has allowed small companies to increase their visibility by giving businesses a global audience never seen before in history. The best thing is that it is cost effective. Don’t believe me? Allow me to take you through the journey of starting your own fitness personal trainer business with £70. You will be surprised. Since you will be at the forefront of your business you might have skills that can be used, such as that personal training course you did years ago and never put into good use (time for a career change?). There are millions of people out there looking for someone that can give them exercise instructions or prescriptions, and you might just be the one. Your skills will cost you nothing, and you can always improve by reading books or watching videos pertaining to fitness. Today, most businesses can be started with just a pc and a mobile phone that you probably already own. Smart phones today do quite a lot, turn them into your mobile office. You do not have to invest in expensive material such as cameras or video cameras so that you can start your online personal training business. 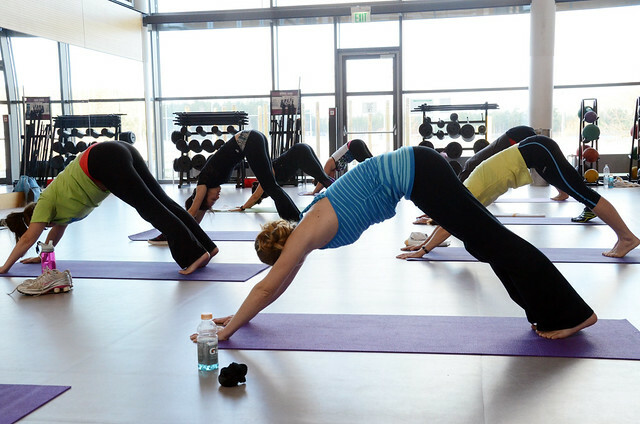 With your phone you can easily take quality videos of you doing yoga, press ups or chin ups. You can also take photos using your smartphone and easily post them to your clients. For your business you will need WordPress. WordPress is one of the best portfolios that you can use. You do not have to have previous knowledge of programming or html, since it is already done for you by their engineers. Moreover, it is very powerful with many plugins that come in handy in creating beautiful and efficient websites. The best thing is that it is free, without compromising on the quality of service that you will receive. You will need a domain for your site. A domain name is the equivalent of a phone contact and you have definitely used it millions of times when you visit the internet. Whenever you want to access any website, you first type in its web address. You will therefore require a domain name so that your clients will be able to access your website. Most domains do not cost more than £10 a year. I suggest you get one from namecheap.com which has served me for many years without problems. For your site you will need hosting. Hosting allows you make your website accessible through the World Wide Web. This will enable you to have a web page and therefore you can upload the necessary files for your fitness instructor website. I have tried many hosting service providers but dreamhost.com is pretty solid and functional. It is one of the most popular and efficient web hosting company. You also get to host unlimited sites and unlimited disk space so that you can efficiently store your yoga photos, videos and word content. Initially go for shared hosting that should not cost more than £5 a month. This is where several websites reside on a single web server. It is more economical because overall cost of maintaining the server is distributed over to many customers. Start getting customers straight away with a google adword campaign. Your website needs to be well advertised if you want to convince people to employ your services. Google Adwords is rather pocket friendly and you get to expose your personal training services to millions of people. If you are a new customer to Google Adword, you pay £25 and you get £75 to try. If the campaign is set up correctly it will not be long before the telephone start ringing and you website gets an immense traffic that you could never have imagined. It is essential that you write about your expertise to attract clients, and prove yourself that you are a pro and generate traffic to your site. Make your blog posts interesting and informative so that will encourage potential customers to visit your website for detailed information. If you are too busy hire a writer on iwriter.com and you can get quality web content at affordable prices. Outsourcing web content is a good strategy to infuse diversity, creativity and different styles to your website. Everyone today can have the luxury to have a private receptionist to take your call send you an email with the client contact. This enables you to keep doing what you are good at without the need to answer the telephone yourself. Since the receptionist is the first person that interacts with a client, you would have to look for one that is warm and welcoming. You also need to get someone who can answer customer’s inquiries and direct them appropriately. You can check http://www.answer.co.uk/default.aspx, which has served me for many years without fault. Starting your business should be easier, faster and an indelible experience. With barely £70, you can start your fitness personal trainer business. Try it today. Rest assured, you will not be disappointed. Are you trying to grow your food business? Offering your customers good food is crucial but it is only half the picture. Today, social media is one of the best way of promoting your business. Often free to use for businesses, social media is where you can get a new audience without the cost of running a major traditional marketing campaign. 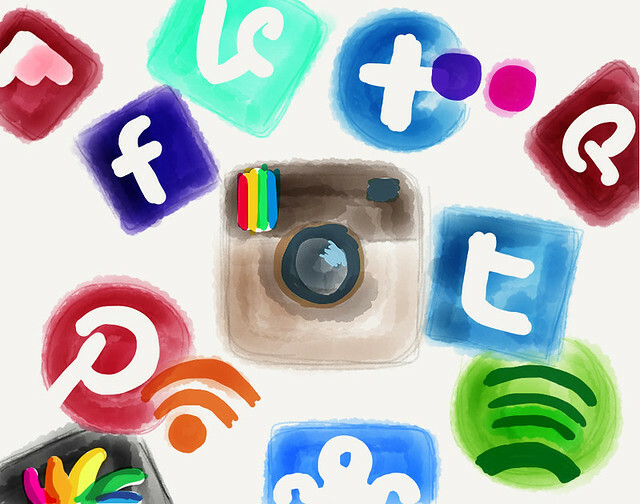 The social networks come with many benefits but they are not all apparent. In this guide I will train you about the best tactics that will give you authority in social media. My aim is to help to grow your food business without spending a fortune. All social media platforms can help transform your food business. Facebook, Twitter, Instagram, are some of the best marketing tools where the business owners can keep in contact with their clients. All these platforms use different styles and have different customer bases and objectives. It will be advisable to use all of them so that you can reach out any possible interest. Twitter: start by setting up a Twitter account for your food business. The account should have the company name and logo and your profile should be completed with all information. It seems obvious but you will be surprised to see how many business have incomplete profiles, it does not really look good. You should send tweets to your customers regularly. Twitter has a very fast content flow which is rapidly consumed by its users, this will ensure that all your customers are kept engaged. When you maintain an active twitter account, you will not only inform your customers about your business but you can also use as a customer care service platform, as many brand do so now. An interesting feature of twitter is ability to use hash tags, you should use them to help users to find your content. Facebook: in the past, Facebook was used as a communication tool between school mates and friends. However, as times went by, it grew exponentially becoming the largest social site ever. Business owners are now using the platform to promote their business and you should do the same. Facebook is also working hard to ensure that it is business friendly by adding new marketing tools all the times (find out who is visiting your pace with Facebook insight). Starting a Facebook page for your food business will be the first step. Post interesting and fun items on your Facebook account to attract clients regularly. Here the pace is much slower (when compared to twitter). It is a good idea to post on facebook at strategic times when your users are online. Start the easy way, post some content about your business and ask your friends to like and share it, you might be surprised to see your content going viral with little effort. If you think that the average person has 300 friends on facebook it does not take much to get more eyeballs on your business. Instagram: Instagram is an image-driven version of the social media networks. At the moment, the site is owned by Facebook, so it is growing fast and you might be want to be in there too. You can use your phone to snap a picture and post it to the platform. The most distinguishing feature of this platform is that you can play with the appearance of the photos using the filters giving them a cooler look. As you do food, taking pictures of your succulent preparation is a win win move for your business. Ensure that your shots are neat and enticing, instagram user will like and share them. You need to create good content for your food business by starting a blog. Since you are an expert in your field, you will increase traffic to your site and in the process gain more customers. Write articles and share them on social media. Writing original content is always the best option as the search engines will help your site get the best exposure. If your content is copied no one will link to it and as such it will defeat the purpose of writing content in the first place. Focus on creating strong headlines for your content as this spark interest and invite readers to your site. The headline is as important as the article or post itself. Research shows that 80% of people will read your headlines but only 20% will read the content. Make your content actionable to give the user a sense of how they can get to apply the information. People usually learn differently. Some will learn better by reading while others prefer images. Most people however prefer visual aids and as such use pictures, diagrams or videos so use them to better illustrate your points. Visuals will help to sustain the concentration of your readers to your content. Nobody likes to look at plain texts and paragraphs unless they are reading a textbook. Add images that add value to your content and be careful to avoid boring stock photography. Run giveaways, give your products to social media user and blogger, use their feedback to your advantage. You can give offers and coupons to people to get discounts at your food store. Most people like gifts and discounts this will encourage reciprocity, you give them something your customers will write praising words. Offer exclusive coupons to social media followers for example $10 0ff their next order. Allow for feedback from your newly acquired customers asking them to review your services and post them on social media. Make sure to take their feedback seriously and offer positive response. The reviews from social media users will help to promote your business further. Most customers will only be interested in something that has been proved to work for others and they will go through the reviews to see what other social media users are saying about your business. Address negative responses and appreciate the positive ones to create a transparent and friendly online persona online about your business. It is also a good idea to give free products to influencers. Influencers are bloggers with many followers and they might act as testimonial for your business. So go ahead and offer freebies in exchange of honest reviews. The reviews can be then shared on social media to generate more energy and buzz around your business. Do you know that contests can help promote your food business? These contests can be done through social media platforms. The winners of the contests should be awarded prizes that are good enough to convince more people to participate. Everybody loves free food. You can use fun games such as picture caption contests in exchange coupons in order to engage your social media followers. Pick one or a few winners with the most creative comments and send them a free coupon to use the next time they visit your food store or restaurant. These contests are a quick win for both the fans and your restaurant too. There various types of contests that you can run on social media ranging from riddles, trivia questions, photo contests, fill-in-the blanks to caption contests. You do not need huge budgets for this you just have to choose the ones that works best for you and your social media fans. If you need your food business to grow fast, you must make it a brand. Always make sure you act like the big food companies in the market. These companies use different strategies to make their business successful, copy them. It is advisable to emulate what they do. Use their marketing ideas on your food business, and you will become successful. You can learn many valuable lessons from the big-brand approach to social media. The following are some of the things that you can emulate and will surely work for you. • Find where your customers are talking and go deeper – Choose a platform where you have the highest fan base and post a content or promotions. You will be leveraging the promotion on a platform where you are sure to get the highest visibility, giving your followers an incentive to become loyal to your brand. • Create amazing content that will get people talking about – Only give visitors the content they need in order to spark a conversation. Create engaging and thought provoking content that leave readers with questions. Have an important and promising introduction and throw in a story somewhere within. People love stories and as such it can be an antidote for boredom and it can also help clarify a point in your blog post. A good introduction will come in handy as it can help people make quick judgments about your blog posts. If it’s boring they won’t even think of reading it. • Use your social media accounts to listen to the customers – You need to be available to your audience in real time to have more meaningful back-and-forth conversations. Auto-posting might be an effective way to communicate to your customers but it is one sided as it does not allow for feedback from the correspondents. However, engaging with your social media fans in real conversations will add more value to your social stream and bring your food business better results. You can also frequently update you posts and content to assure your audience that you are there. Link building is one of the most challenging aspects of SEO. With on-page optimization, it’s enough to rely on one’s own SEO expertise, but with link building campaigns, blogger outreach is necessary to see success. Building low quality links with spammy sites is no longer an effective strategy, as sites who do so will be penalized by the search engines and as a result rank very low or not at all in the SERPs. The proper way to build high quality links is by cultivating relationships with webmasters who own trustworthy sites with high domain authority, usually through some form of content marketing. Link building through blogger outreach can be a very time-consuming process. You have to gather web site owner contacts and get them on board with creating a link that points to your site. The process is complicated by the fact that you don’t want to be directly competing with sites that give you backlinks, but are still related to your site’s content. Finding sites that fit that criteria isn’t always an easy task. Once you’ve formed a partnership with a website owner, you’ve got to come up with an attractive title that will make people want to click on it and quality content. An important thing to keep in mind is that without quality content, it’s not worth it for website owners to publish. Make sure that whatever guest content you give to webmasters will provide value for them and their audience. Search engines rank the websites of the Internet like a big popularity contest. Links are seen as votes of confidence to the site that they links to. The sites that have the most links linking to them are seen as providing more value to searchers and as a result, get ranked higher. The rewards of having respected websites linking to yours can be substantial. More quality links pointing to your site means being ranked higher in the search engines and in turn, increased traffic to your site. Finding authoritative websites willing to post your material can be like finding a needle in a haystack, as the Internet is a big place. For the purposes of this article we will focus on gathering website contact emails and sending emails that communicate the value that you will be bringing to a site’s readers by publishing one of your guest posts. We’ve used several services that aid in the process of finding sites and blogs to post your content marketing to. Three that we found particularly useful in their own ways include NinjaOutreach, BuzzStream and Bloggers Required. Ninja Outreach is a sophisticated tool that has a bit of a learning curve due to its complexity, but is completely worth it because of its powerful capabilities. Ninja Outreach’s principal feature is its ability to search for keywords that you want to target for your site and results are pulled from multiple search engines. This means that you’re not limited to a single database – the results span the entire indexed Internet. Once you’ve got your results of prospective sites, you can compile them into a list. Your lists are then crawled to retrieve email contacts from each site. 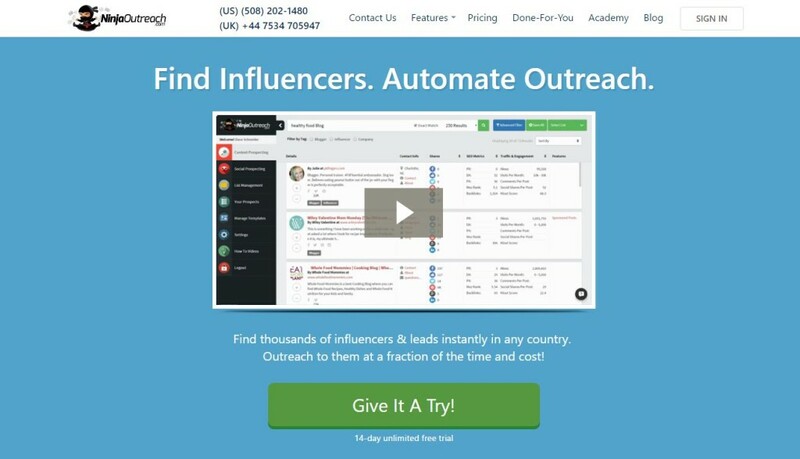 Once you’ve gotten a list, you can use Ninja Outreach’s Influencer Outreach Tool. Using Ninja Outreach greatly speeds up the process of your email campaigns. A feature made for sales but that works great link building purposes is Ninja Outreach’s custom sales templates. You have the option of creating multiple email templates and with the help of Ninja Outreach’s tracking system, you can use the statistics you’re given to assess what messaging is working best in regards to your proposals. If you write out two separate messages, you can send message one out to a group of webmasters and message two out to another group. You can then take a look at the statistics that Ninja Outreach measures for you (opens, clicks and replies) and then focus your efforts on the more effective messaging. As with all of these tools, there are a few downsides to Ninja Outreach. The Ninja Outreach system only allows you to use a Gmail address. Additionally, if you use the service to send a high volume of emails, your account can get flagged for spam and shut down, and thus losing the work you’ve done. BuzzStream is much like Ninja Outreach in that it uses crawlers to pull emails from search engine searches which you can then use in whatever way you’d like. BuzzStream is also similar in that it is a complex tool and as such, can be a difficult tool to master. Using BuzzStream to conduct these outreach techniques do take some time, but when used intelligently and persistently, can lead to some fantastic results. BuzzStream does a great job of categorizing the contacts that it pulls for you. Website and contact info are automatically sent to your BuzzStream dashboard, saving you from the arduous process of retrieving and organizing all of that information manually. You can then specify how you’d like particular sites or contacts are categorized by factors like date found, page rank, contact status and type of link. BuzzStream also has a backlink checker which notifies you when a backlink is achieved. It also has the capability to show if your backlink has been deleted, if the page it was posted on suddenly becomes full of spam, if a link was nofollowed and even if a link’s anchor text was changed. On the negative side of things for BuzzStream, it is somewhat expensive so its use may be more relegated to firms whose main focus is SEO. It’s also highly specialized for backlinks, so it doesn’t have some of the features found in other SEO metric tools. Bloggers Required is a network that helps connect bloggers with businesses that need quality content. It’s easy to use and is relatively inexpensive. To get started, all you have to do is register with the site and then post assignments. Bloggers who have a background in the content of your assignments are then able to pitch their blog to you. Some of the blogs you’ll find on this site are low quality or receive very little traffic, but you can pick and choose which blogs work best with the type of content marketing you’d like to promote. When it comes to blogger outreach, email is by far the best method of communication. People in general, not just website owners, sign into their social media accounts far less than they do with their email. Messages on social media accounts also tend to get ignored or forgotten. The cost of communication through email is free, or if using more advanced email management systems, very affordable. When putting together an email campaign, you’ll get lots of details and contact information from bloggers that may want to work with you. Creating backlinks through blogger outreach can be a hit or miss strategy – for whatever reason, the logistics simply will not work with all bloggers that you reach out to. Some may feel that your content may not be relevant enough to post to their site. Some may think that your site is too much in direct competition with theirs. If not pitched well, some may conclude that you just won’t be able to provide any content of value for them. Regardless of the reasons, the fact of the matter is, blogger outreach is a numbers game and you will have to contact several bloggers before getting quality backlinks. The point is, if you’re doing blogger outreach on a larger scale, using some form of mail merge will make your life a whole lot easier and more efficient. When your lists are built, you can use systems like NinjaOutreach and BuzzStream to organize details and automate the process. These systems take all relevant information and compile them in a way that lets you access them as quickly and easily as possible. The URLs, contact emails and website owner names are all stored together so that you can personalize your messaging. Email templates can be used, but peppering your emails with personal touches greatly increases opening rates and you’ll see far more effective results. If your emails sound too scripted and generic, website owners will be turned off by that and may ignore your message as a result. By personalizing your emails by name and learning about the person’s website, you greatly increase your chances of forming a relationship that will be beneficial for both parties involved. Due to the amount of emails to website owners it takes to come away with quality backlinks, automating the process can be a good idea. To do this, you can use MailChimp or an smtp service. Aweber is also a solid option. Aweber is a paid service and many people use it because of the fact that it allows affiliate marketers to use it, whereas MailChimp does not. In the case of blogger outreach, this is not a concern so you can use whichever service you find has a better interface. For writing blogger outreach emails, keeping it simple is the name of the game. You don’t have to write a novel to each potential site owner. Be friendly and to the point. Saying something nice yet honest about the person’s site goes a long way. Make sure to state your purpose for contacting the person clearly so there’s no question as to why you’re emailing them. Also, it’s important to give the person some form of incentive to working with you – there has to be some form of benefit for them. Finally, include a call-to-action so that the site owner has a clear idea of what you’d like them to do. Even if you write the best outreach emails in the world, being rejected is just part of the process, so don’t get too discouraged if some people aren’t on board with the idea. Getting SEO right is the first step to a successful digital strategy for any organization. If correctly implemented, it will lead to higher page rankings on search engines, better site visibility, increased organic traffic, as well as improved advertising efficiency. These, in turn, translate to increased revenue and business growth. However, despite SEO being useful, many small businesses do not enjoy these obvious benefits for a couple of reasons. It is one of the most powerful digital marketing tools. This Google tool gives business owners the means of assessing the performance of their digital marketing campaigns. It offers valuable information like where the site visitors come from, how they ended up on the site, what attracted the visitors to the site, the keywords that they used, the content they loved, as well as the marketing tactics that resulted in the most leads and conversions. Furthermore, the tools support the multiple viewing of Google Analytics, exportation of reports to different formats like PDF, CSV, TSV, XML and much more. Armed with such statistics, it becomes easy for small business owners to determine whether or not the website meets the desired objective. To get this free useful tool, a business owner simply needs to set up a Google account and install the Analytics tracking code to his or her website or blog. Small business owners should log in daily in their google analytics account and keep an eye on the performance of their keywords this helps the entrepreneurs to create a successful ongoing content strategy for the site through constant brainstorming. Even though SEMrush’s designers had SEO professional in mind when creating this useful SEO tool, small business webmasters can also benefit significantly from it. The way it works is that one inputs on the semrush.com platform, the URL of the website under consideration. The platform will then generate a list of keywords for which the site in question already ranks on search engines and an estimate of the number of times people searched those particular keywords in a given month. Subsequently, a business owner can decide whether or not a particular keyword is worth optimizing. So weekly check your keyword position and that of your competitor. SEMrush users concur that it is one of the leading competitive research tools in the digital world. It is a superb way of monitoring and researching the competitor’s ads in that when combined with the competitor’s website data it is easy to study, understand and defeat the competition. The tool comes in two versions of free and premium. The paid version naturally contains more superior features including the ability to perform more searches daily. Any seasoned webmaster would attest to the importance of backlinks in as far as web traffic generation and web page ranking goes. The higher the number of links directing to your website, the higher the chances of traffic. The links, however, must be natural to ensure they are not flagged by Google algorithms such as Penguin, subsequently affecting the page rankings. Thanks to the Ahrefs tool, a small business owner has access to a full backlink tools suite. It contains useful features like the Site Explorer, Position Explorer, Content Explorer, Position Tracker, Crawl Report and Ahrefs Alerts. Aherf back link index is far superior and updated very frequently. So check if you are getting backlinks. These tools make it possible to assess if the website links come from legitimate sites, and remove those that come from illegitimate or spammy platforms. Furthermore, through Ahrefs, a person can conduct a competitor analysis to identify the source of the competitor’s backlinks and adopt the strategies that would lead to success. Moz is another backlink tool, but it does other things as well. For instance, it offers small business webmasters several tracking tools for understanding better the website’s search engine landscape and determine the importance of a site. It does so by revealing the top ranking keywords on the site, the high authority pages, the number of backlinks, lists of URLs that direct to your site as well as the most recent links to your site or blog. Such information is vital for increasing the amount of outbound links that lead to the site. The tool has a user-friendly and easy to use interface. Just go to the moz.com website, input your URL and conduct a search. But the most useful function of the open site explorer is the measurement of Domain Authority that since the demise of google Page Rank is rapidly becoming the standard. Domain Authority or often abbreviated DA is a measure of the domain strength. From 0 to 100 it tells how powerful and authoritative is your site. You can use for free and if you register you can get more searches for no money. Check it here. Domain Authority tells how powerful is your domain. The above tools are relatively straightforward to use and include free versions. They are ideal for any small business owner who wishes to revamp his or her SEO campaigns and help the company achieve its profitability and growth objectives. With the new digital age upon us, blogging has truly taken a life of its own. No longer is blogging simply a part of any online marketing or advertising campaign. In fact, today’s blogs play a pivotal role in establish brand validity, awareness and greater visibility across Google. The key to successful blogging, however, is to effectively attract and engage readers with captivating and compelling content. Your blogs should also be relevant to the industry you serve, as well as orientated towards customers and clients. Like any weekly writing series, however, content can get repetitive and writer’s block may set in. 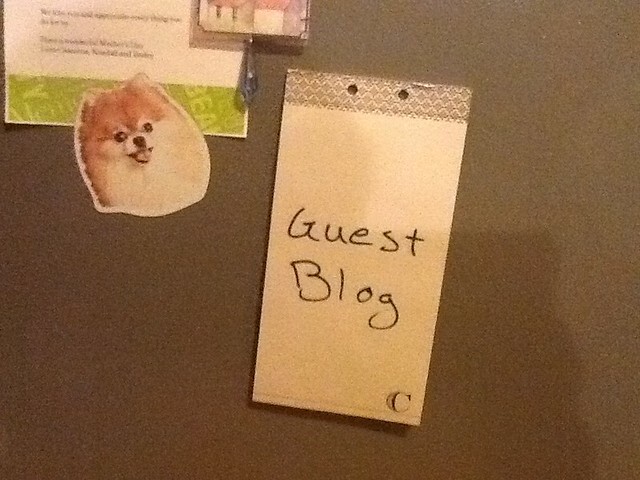 To prevent your blogs from drying out, having a guest author is highly recommended. Guest authors can add a different view to your blog – one that might sway from the norm. Different authors will also use different keywords, while presenting new ideas and points of view that you might not have thought before. In a nutshell, guest bloggers can truly spruce your blogs, while offering a breath of fresh air and new perspectives on categories and topics. In recent months, several well-established blogs have brought in guest bloggers to discuss a myriad of issues related to specific industries and sectors. Why not do the same with your blog and see how interesting it can be? Maintaining a weekly blog can be a time-consuming and tedious affair. Guest writers can add fresh and new content to your site, which can truly engage and draw in more visitors. Remember, the more likes and subscribers you get – the higher your conversation rates and visibility. This can lead to higher profits and revenue, along with a steady flow of loyal and recurring readers. Guest bloggers also offer new and interesting aspects on your industry covering points that maybe you missed out on in the past. If your guest poster has amassed a loyal following, you might have that new business partner you were looking for. In fact, guest bloggers can manage your blogs if you wish – this allows you to concentrate on other parts of marketing and advertising your business to core, niche or mass audiences. Hiring or working with guest writers also builds new friendships that can last for years to come! Guest bloggers create shareable content, which is essential in attracting new customers and followers. It’s almost certain that your guest writer will have a Twitter of Facebook account with a lot of followers. This is the perfect platform to share your blog and articles with his or her followers, resulting in greater exposure and visibility across vast digital networks. This is simply a win-win situation that can generate a lasting buzz about your brand, site, blog and especially services. Guest writers may be experts in a field where you have little to no knowledge of. This adds true value to your site and presents your brand as a true professional entity. All it takes is a little legwork to network and connect with the right guest posters for your blog. This includes checking the Internet, along with existing blogs that are relevant to your business, clientele and niche. Happy Blogging! Blogger outreach continues to play a pivotal role for new and existing businesses. In a nutshell, blogger outreach are simply businesses working with bloggers to create genuine and engaging content. This can be blog posts geared towards promoting particular products or services. They can also revolve around blogs that help establish brand validity and awareness. As always, these posts must be authentic and designed to attract potential customers and clients. They must also be relevant to the brand in question, which is vital in helping businesses foster growth and compete in their particular niche or industry. Blogging is an essential part of any online or SEO marketing campaign. In fact, long gone are the days of blogging as a supplemental tool to promote products and services. Today’s bloggers are gaining serious traction over the Internet – and as a result – brands can use their influence to gain higher visibility and popularity for their products. With the new digital age upon us, blogging is also intertwined with social and mobile media marketing. From Facebook to Twitter, bloggers have the tools and expertise to help brands market and advertise their services across vast digital networks. This results in stronger lead generation, as well as customer patronage and visibility across Google and other leading search engines. With online reputation as important as ever, positive, honest reviews and testimonials help brands establish identity and true professionalism across the board. In fact, brands can contact bloggers and offer them products in exchange for reviews. This helps generate a buzz about your products and services, while ensuring timely and positive reviews that boost visibility and recognition. Brands can even contact bloggers about writing valuable content for their sites. This can include essential links that connect new and existing customers to the products and services they seek. With content marketing and giveaways, brands are able to utilize the writing expertise of bloggers – while using their skills as marketing vehicles for brand or product promotion. In order to reach out to bloggers, simply search for them on Google, Facebook, or Twitter. These platforms feature countless bloggers that may represent your specific niche or sector. It is also important to create contact lists and start e-mailing them about your needs and aspirations. As always, make sure these e-mails are relevant and sensitive to your specific brand. Bloggers are very busy and do not have time for lengthy e-mails or proposals as well. Therefore, make sure your e-mails are not spammy, and simply be precise, concise, and straight to the point. With blogger outreach at an all time high, now is the right time to connect with these writing experts. Not only do they have the tools and expertise to achieve desired results – the also stay abreast of all the latest industry trends and developments. This enables them to formulate strategic plans of action that help brands attain higher visibility on the Web. As always, they will offer industry insight and ideas on how to promote your brand via blogs and other essential tools.